I’ve spent decades mountain bike racing and coaching. 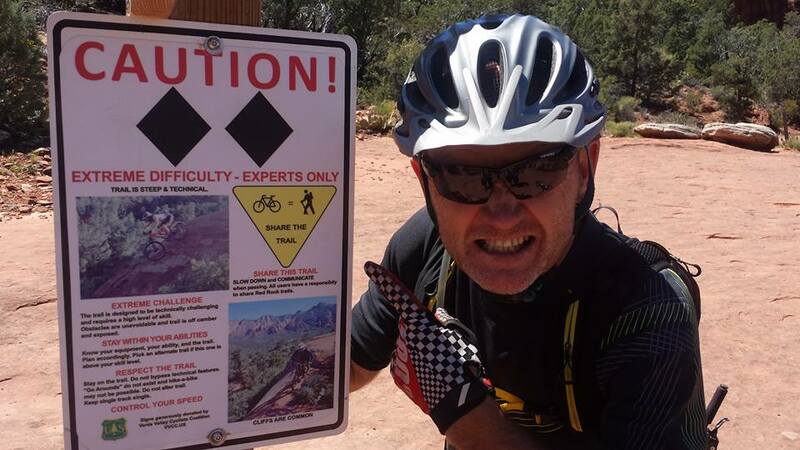 After moving to Sedona, I helped pioneer Sedona red rock riding and became one of the first instructors in the nation to be certified by the International Mountain Bike Association. (IMBA). I train advanced beginner to pro level riders, and apply my unique combination of theory and technique to help you ride with more control over the trail. I can promise you’ll have fun safely honing the skills you need to ride smoother, faster and more confidently. I was born in South Africa and raised on a remote photographic safari lodge in Zimbabwe within what is now Gonarezhou National Park – The Place of Many Elephants. In addition to elephants, I remember the many big cats that prowled near my home including lions, cheetah and leopards. My father is the late, renowned wildlife artist Paul Bosman. Inspired by anything with two wheels, I rode in the bush and subsequently embarked on a short-lived street and super bike racing career when I first moved to the United States in 1982. A near fatal accident led me back to mountain bikes in 1984 when I was living in Phoenix. In the late 90s and early 2000s, I kind of made a name for himself, especially in the Southwest’s mountain bike racing circuit. Having won numerous national titles in 2004, I earned a slot on the US Master’s Downhill Team. You can see my photos and videos in magazines, films and documentaries. Known for riding some unthinkable lines, my most recent first descent of “White Line Plus,” (an impossibly steep line on Sedona red rock), was a viral Internet sensation when it was released in January 2014. I moved to Sedona in the 80s when there were no mountain bike trails or mountain bike shops. Along with a very small band of other pioneers I helped establish routes and trails, many of which form the teaching ground for students and proving ground for aspiring pro athletes.